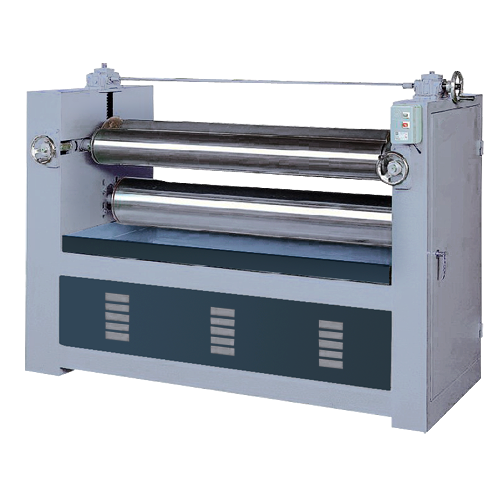 Roller coater type glue spreaders are efficiently & effectively apply glues with a minimum of set up and easily maintains. Set of three rolls (one doctor roller) for top-only or four rollers (two doctor roller) for top and bottom glue application. We designed our glue spreaders with high quality grooved rubber glue rollers with hardened rubber doctor rolls for durability usage. Stainless drip pan catches the over spread glue for quickly and easily clean-up. Heavy sheet metal frame with safety cover.